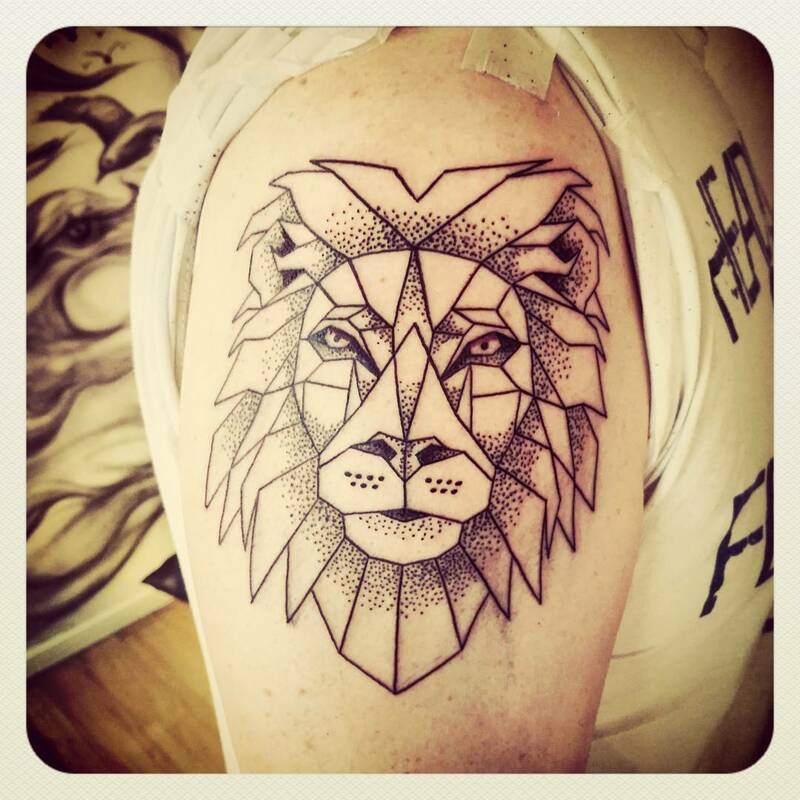 Known as the King of the Jungle, Lion is one of the most prominent symbols for power and strength. 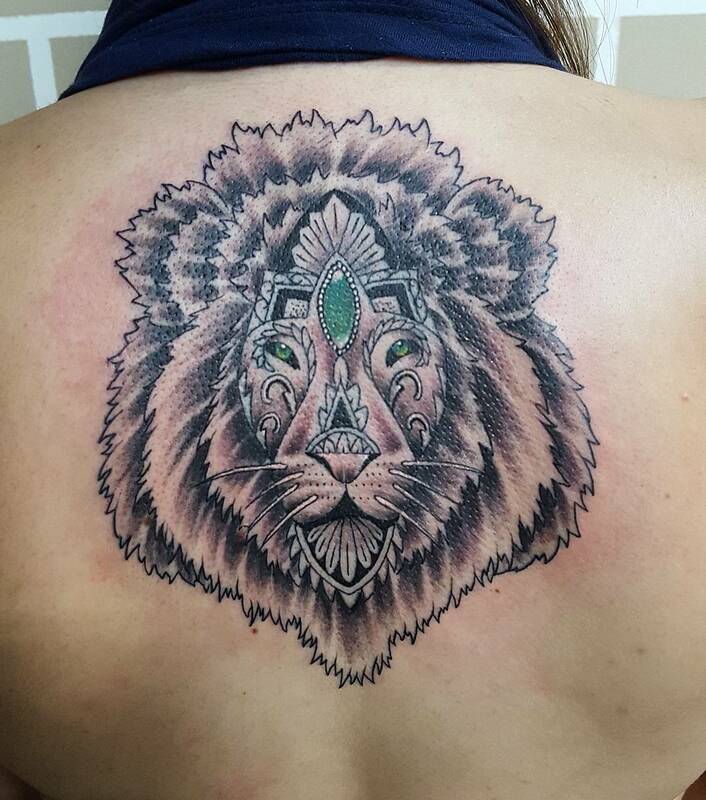 He is known to be the ruler of the wild. 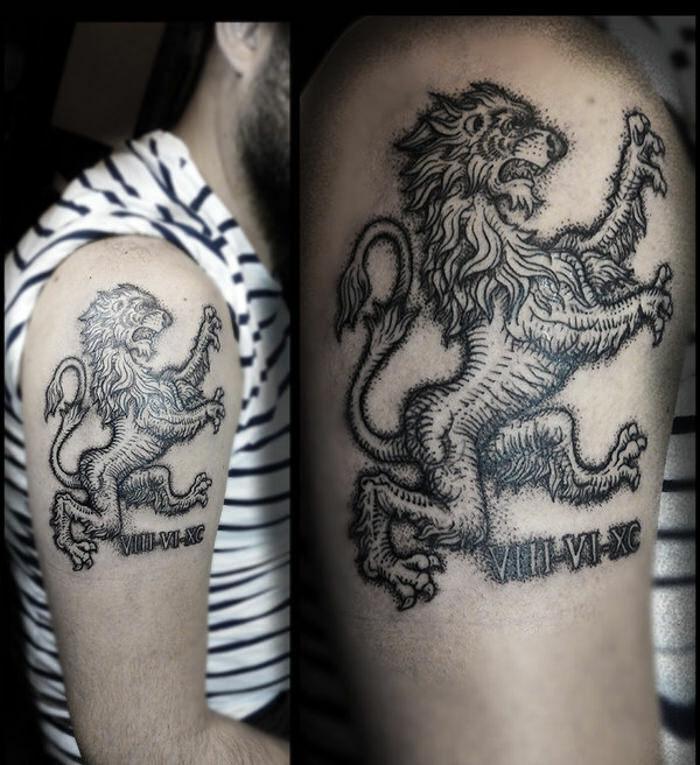 In addition to leadership and supremacy, lion also symbolizes and is known for its pride and fearlessness. 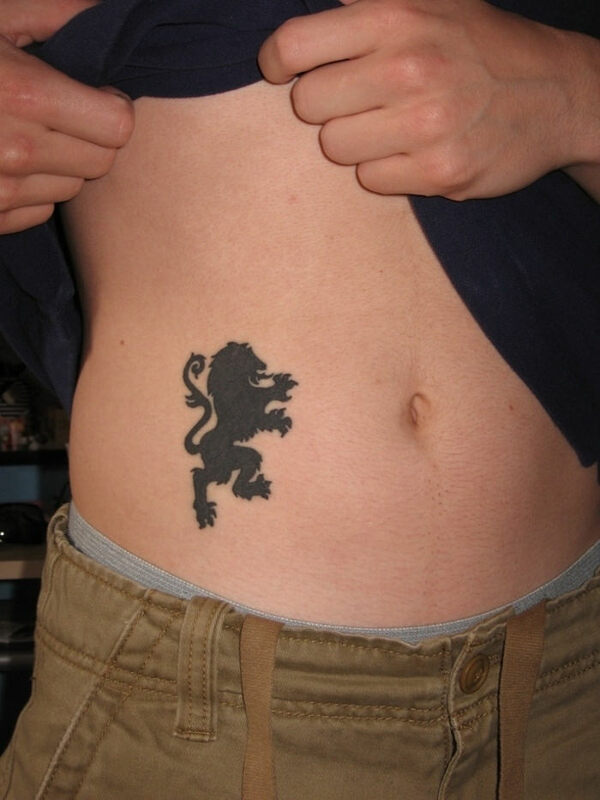 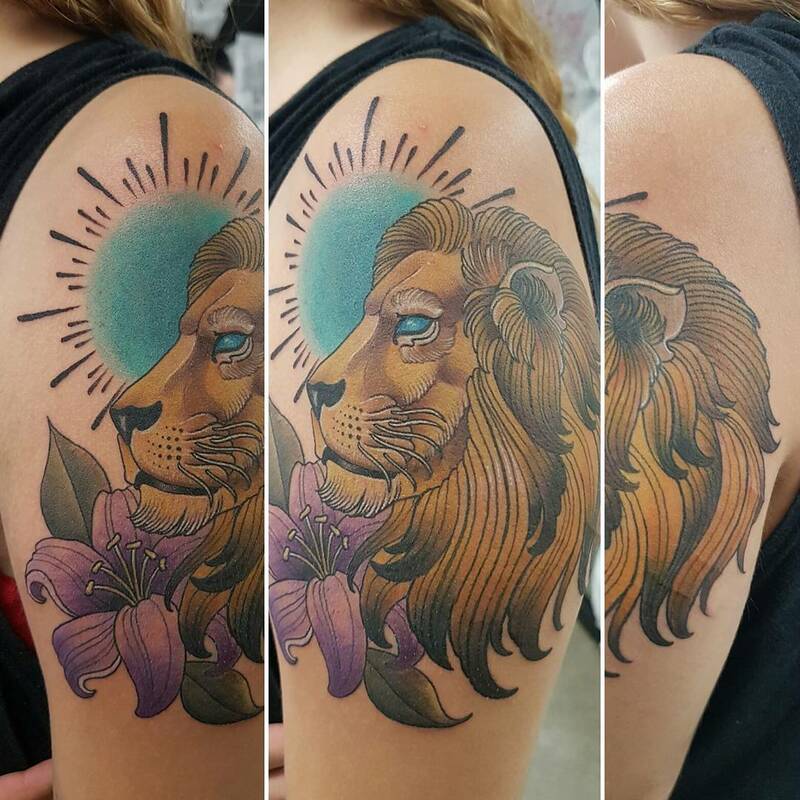 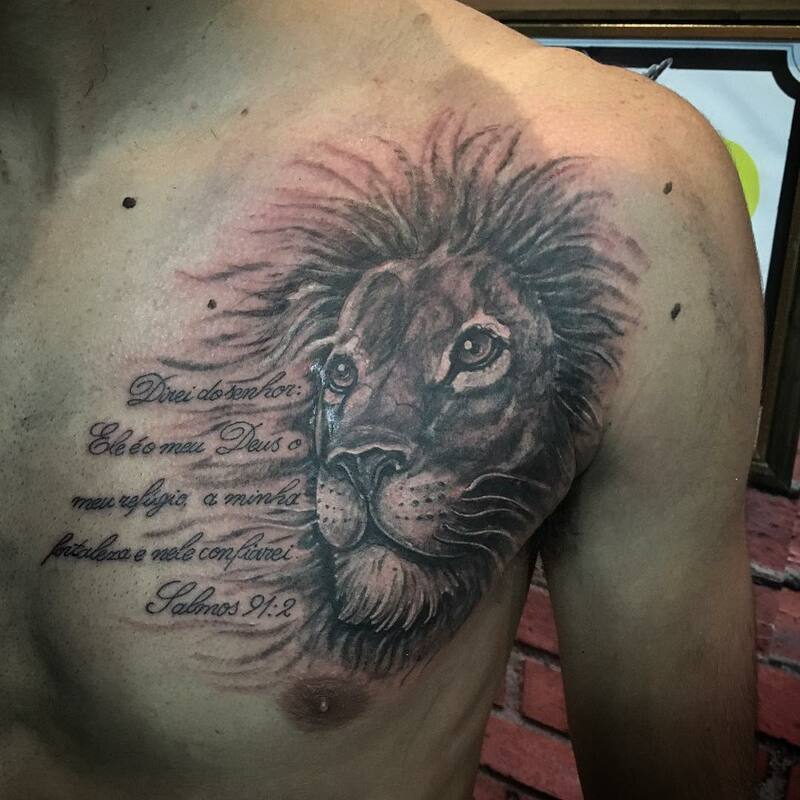 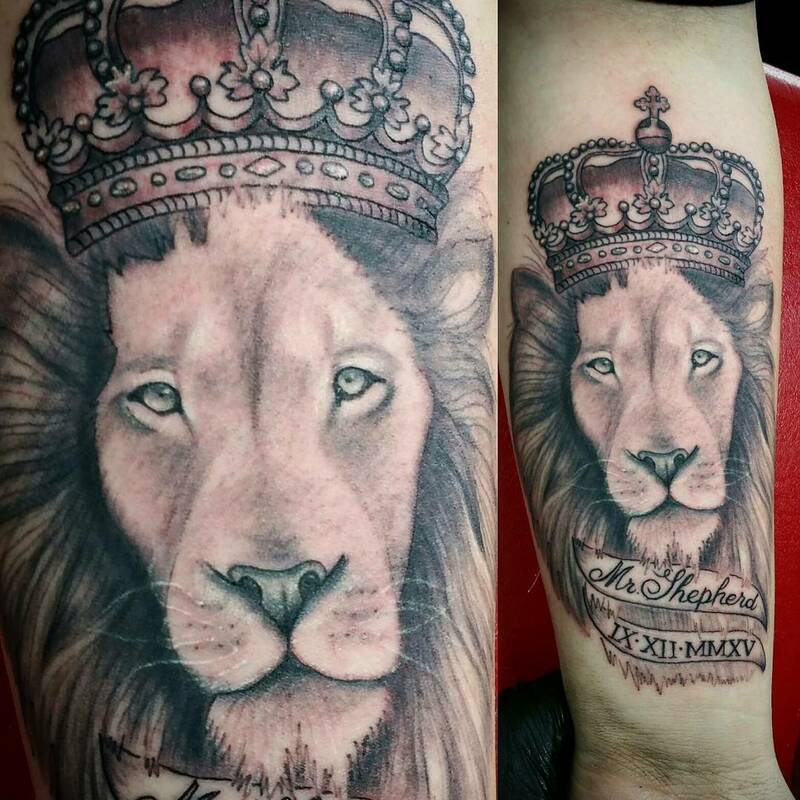 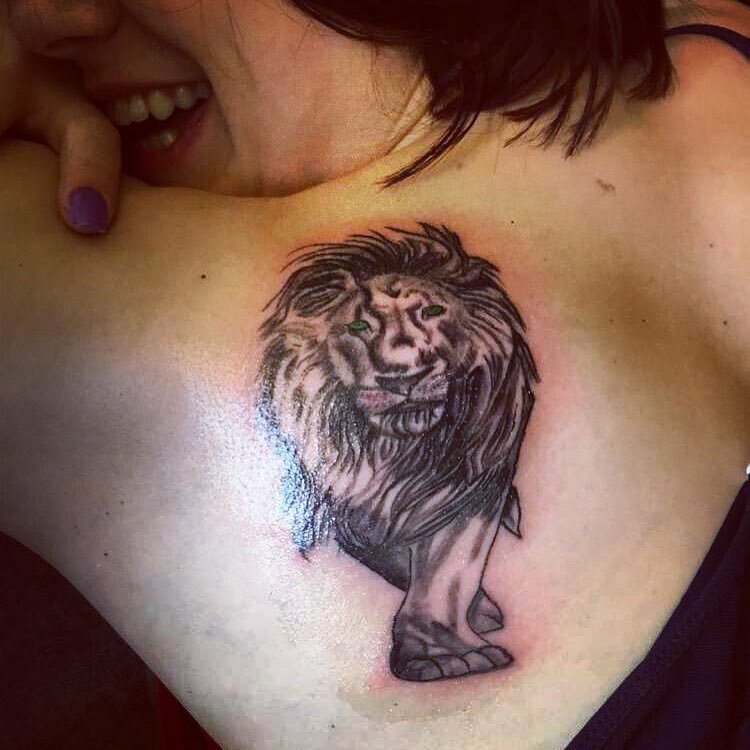 This is one of the prime reasons that lion tattoos are so common among today’s generation. 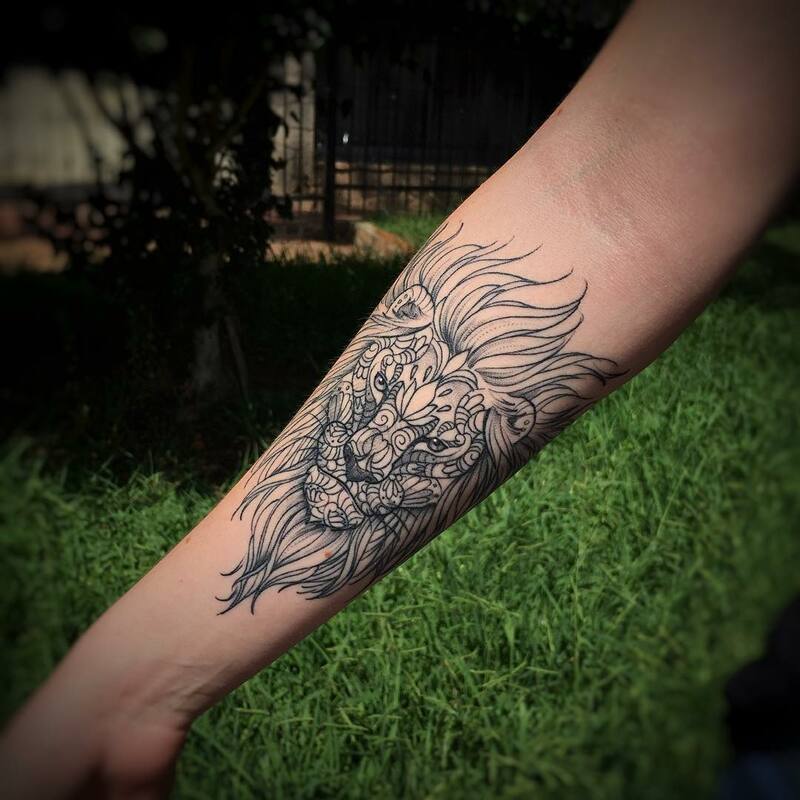 Lion is a dazzling and a dangerous creature as well. 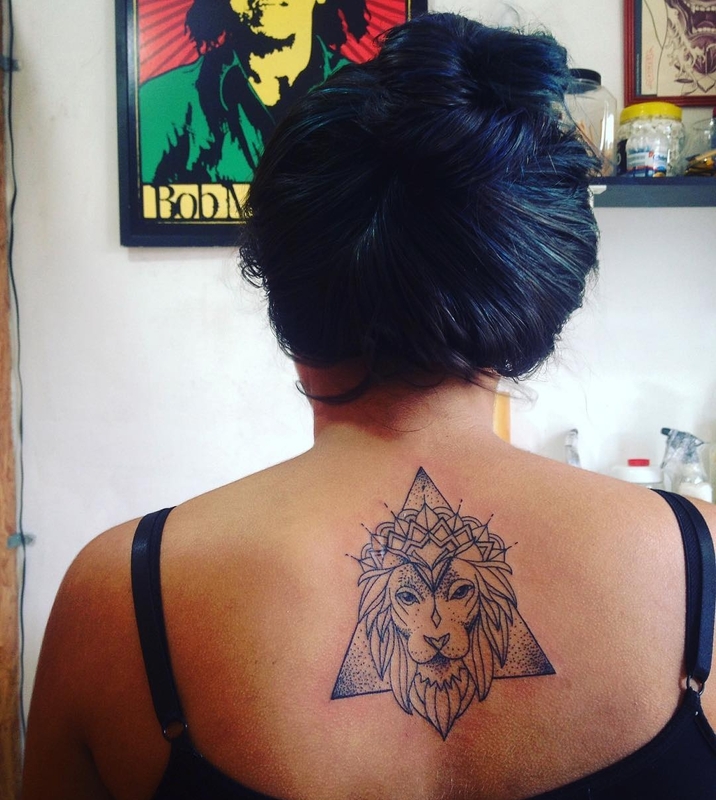 While some tattoos are inked with the lion baring their teeth depicting their ferocity and barbarity, while others project their peaceful and calm side. 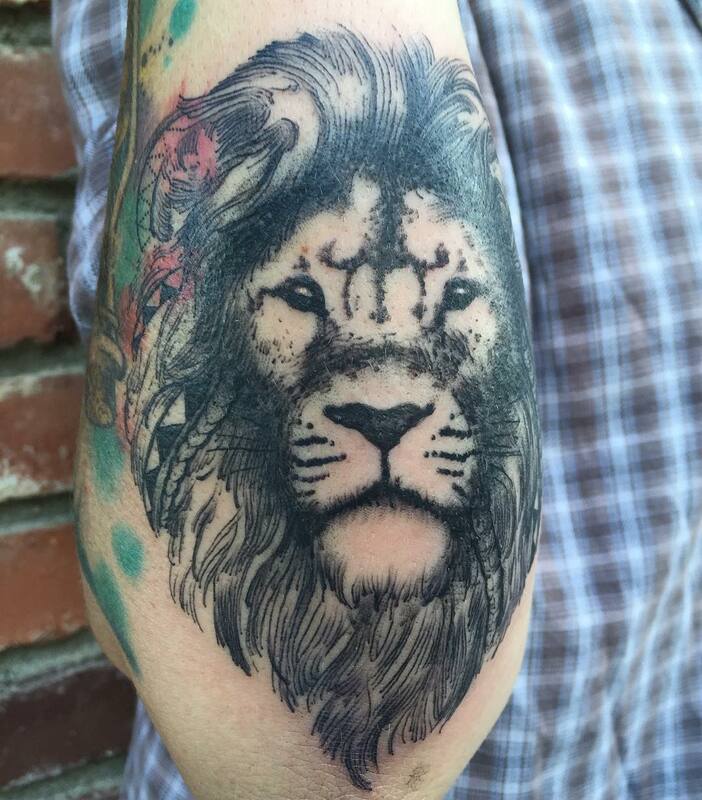 Lion is a symbol and embodiment of passion. 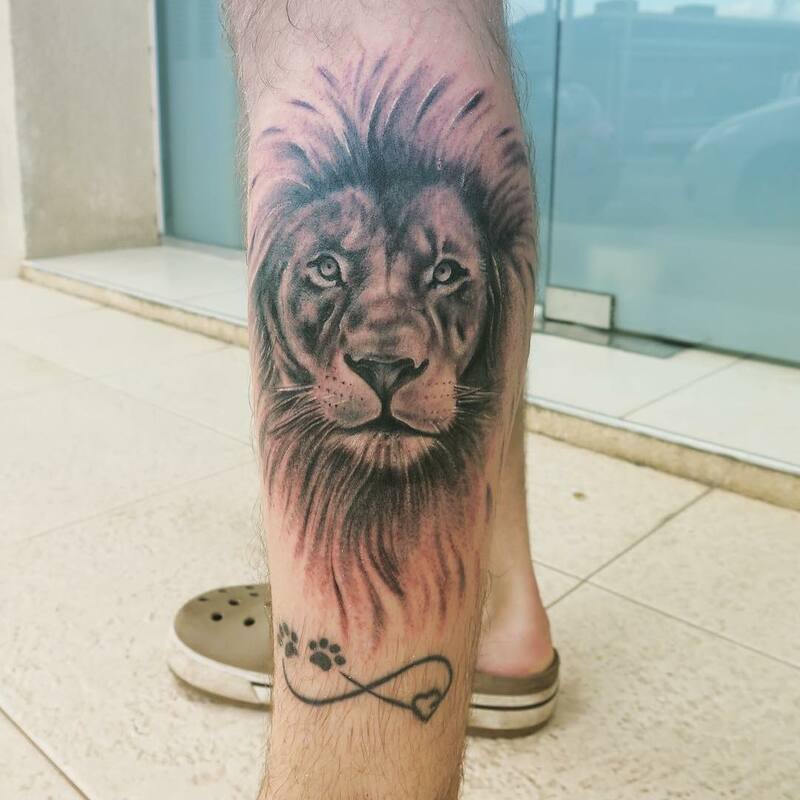 It not only appears cool but at the same time it reflects its superiority, royalty, and the courage to accept any pain in life. 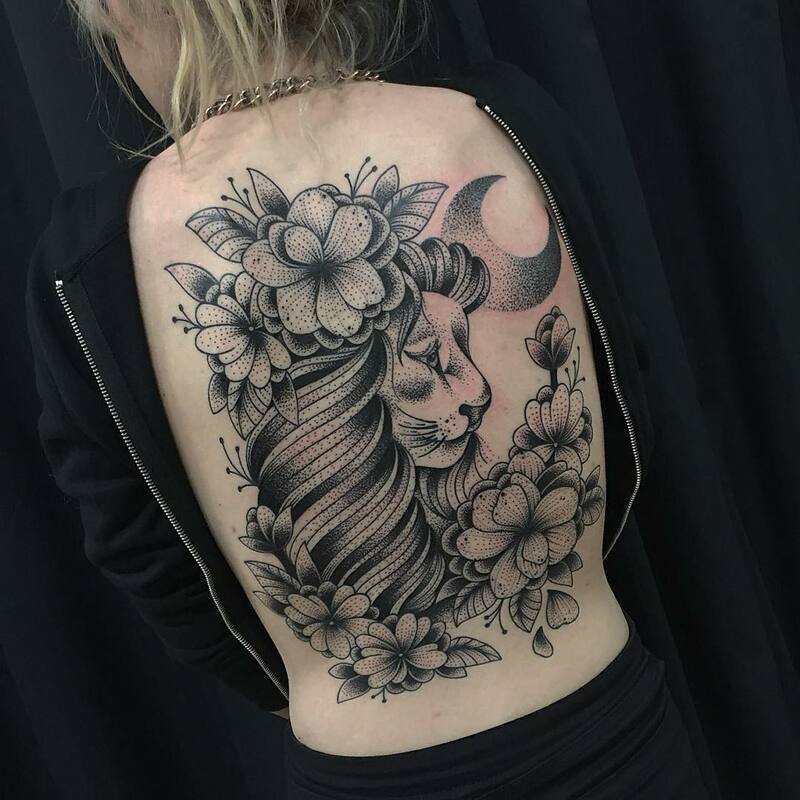 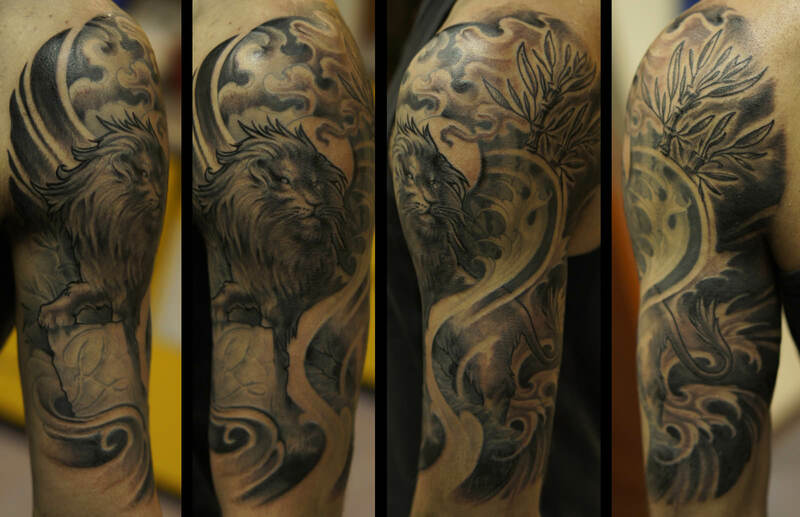 A lion or lioness tattoo symbolizes its great noble nature and dynamic persona. 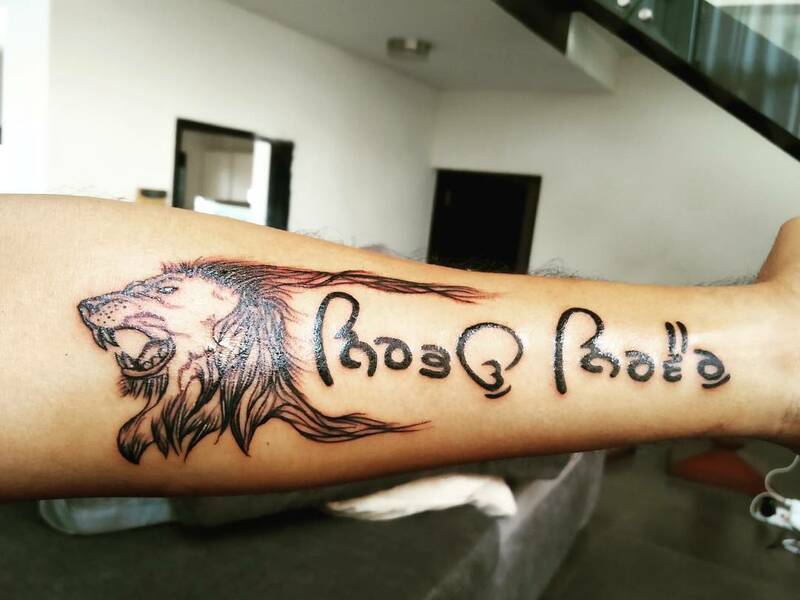 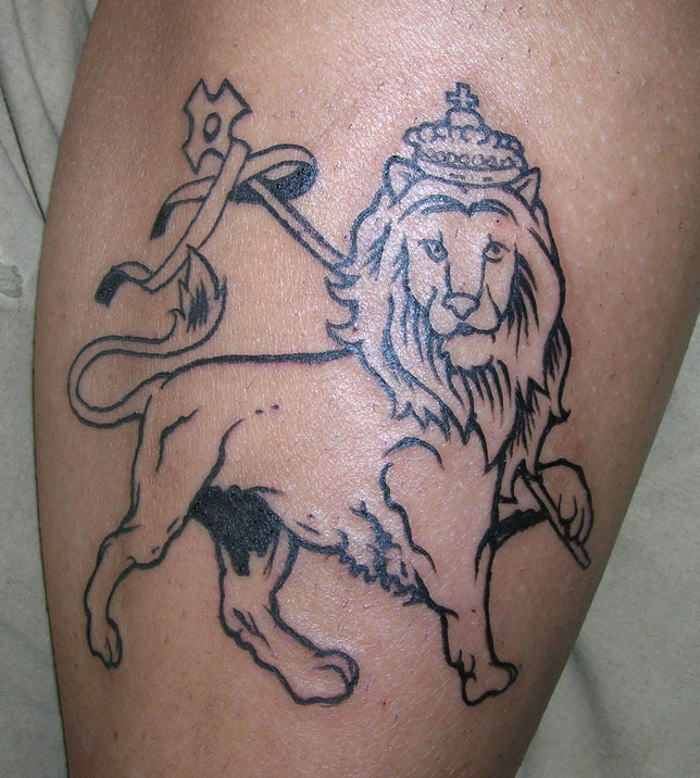 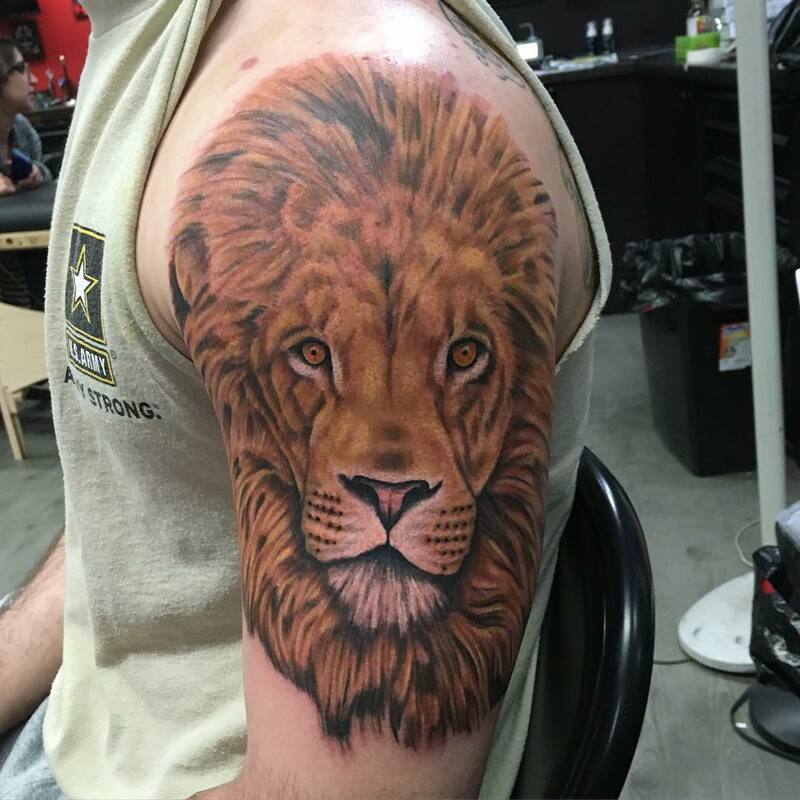 When you get a lion’s tattoo inked on you, it represents your striking symbol of authority and leadership. 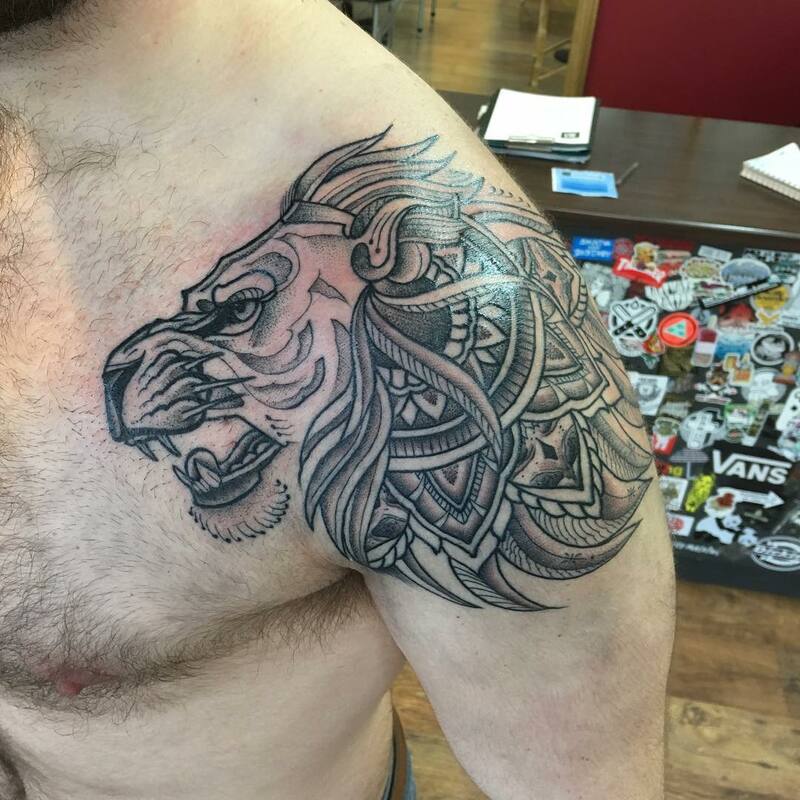 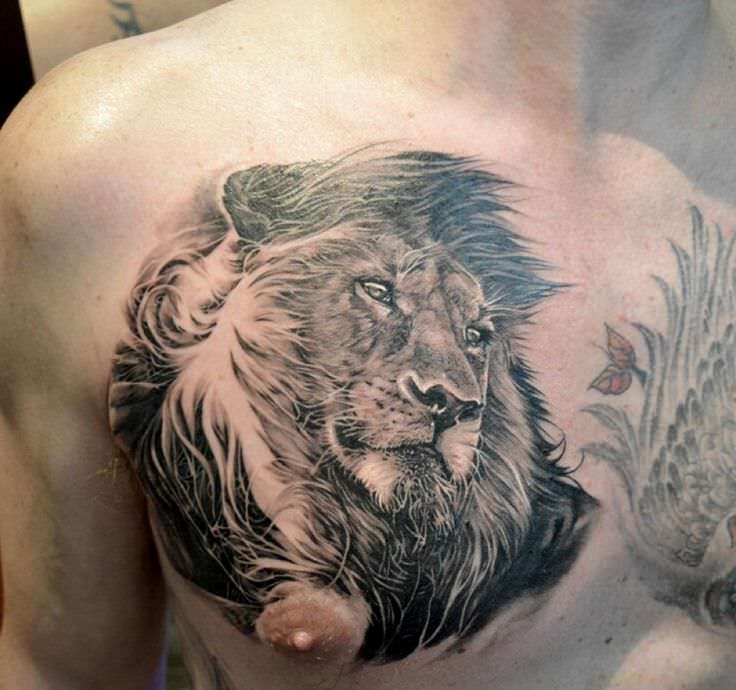 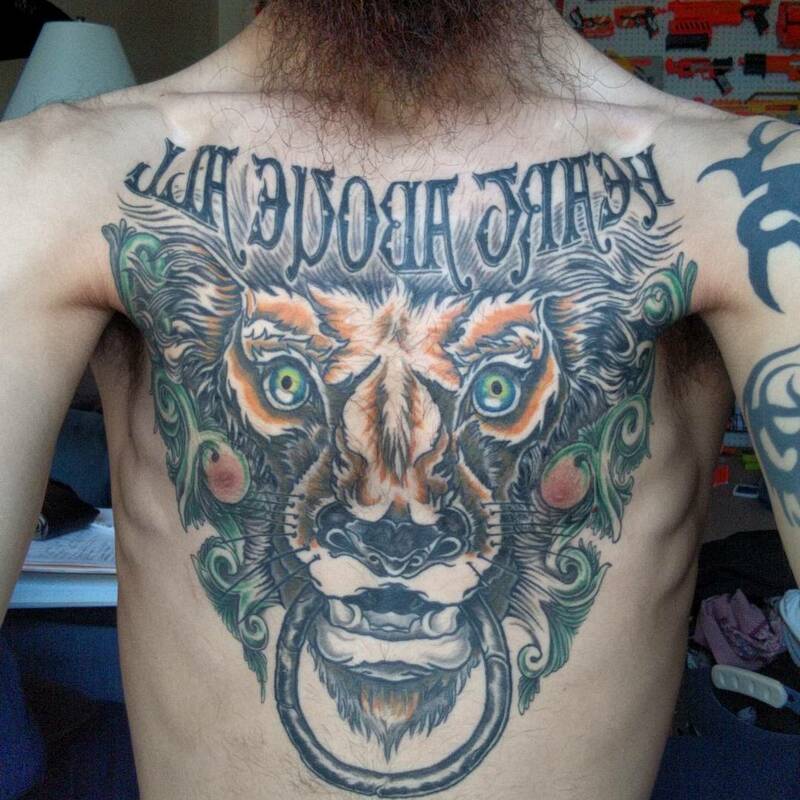 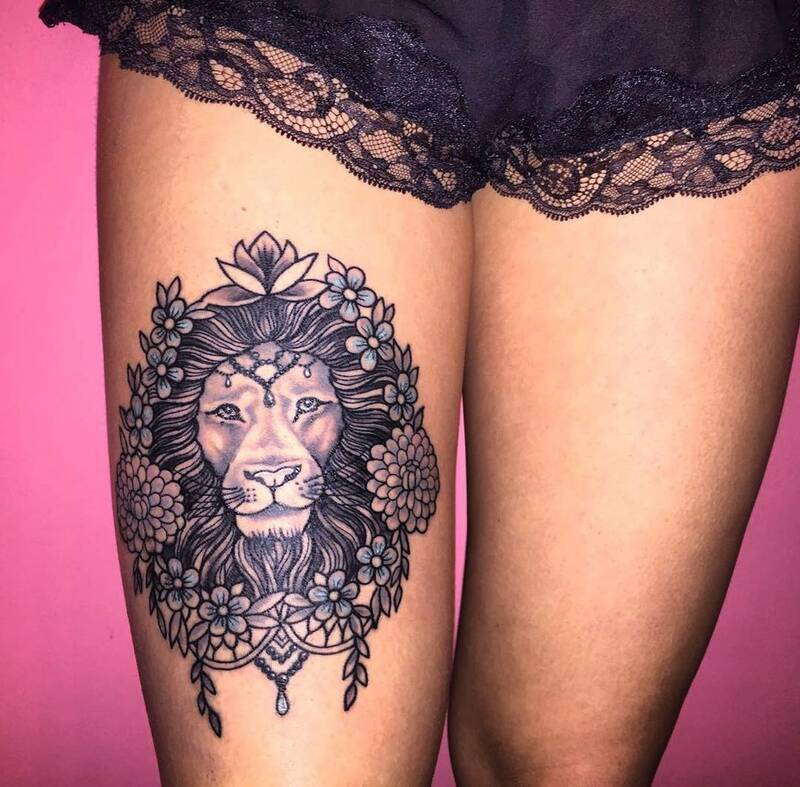 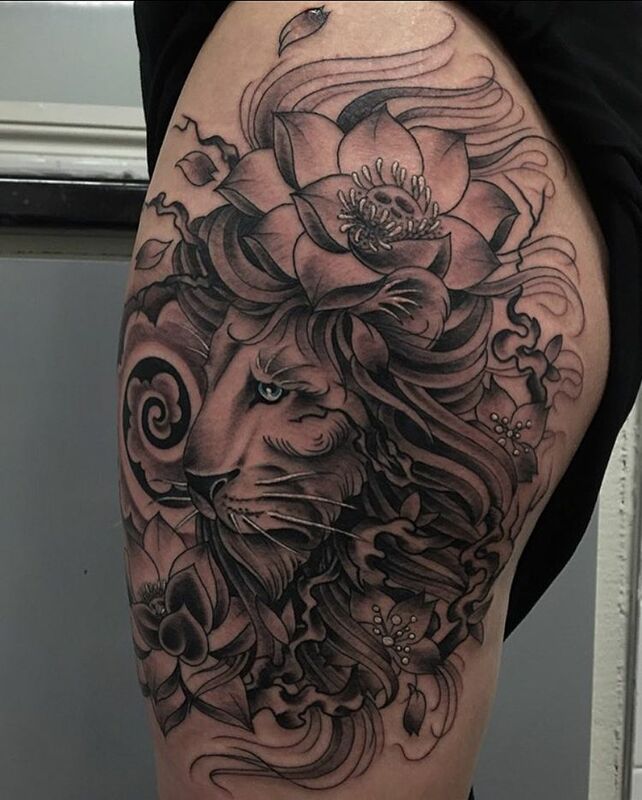 A ferocious giant lion tattoo looks amazing on the chest, back or on the legs. 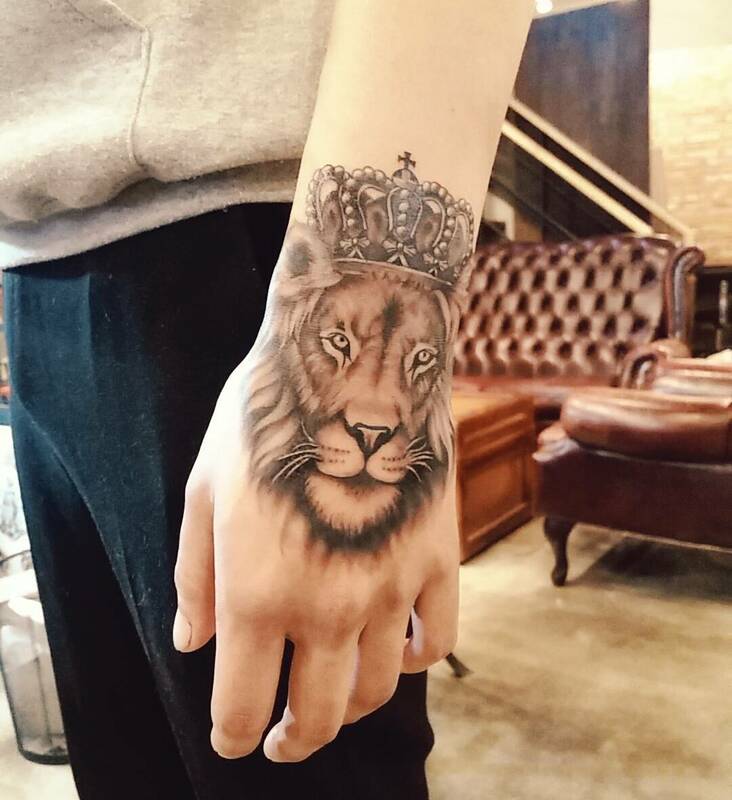 Even small sized lion face looks cute on wrists, ankle and even on the fingers. 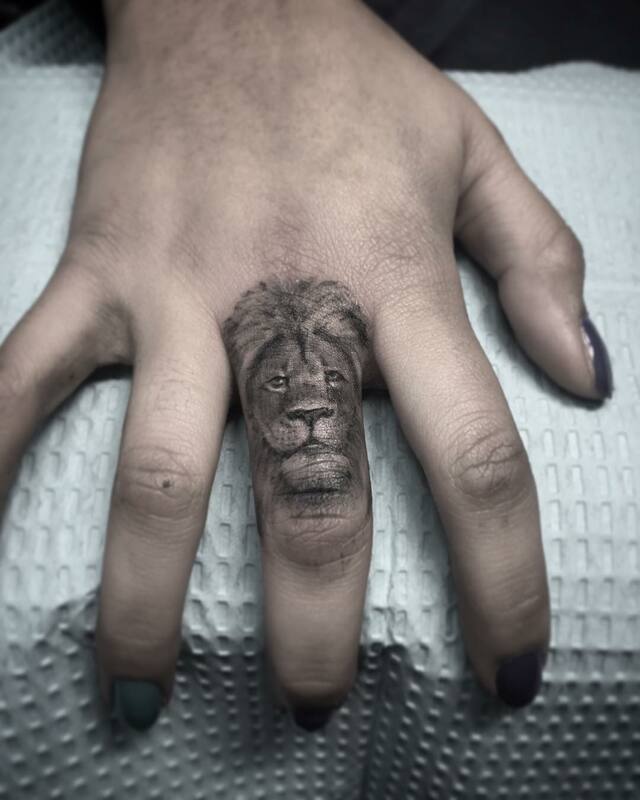 They can appear fierce like a roaring lion or a small cute lion depicting its peaceful side. 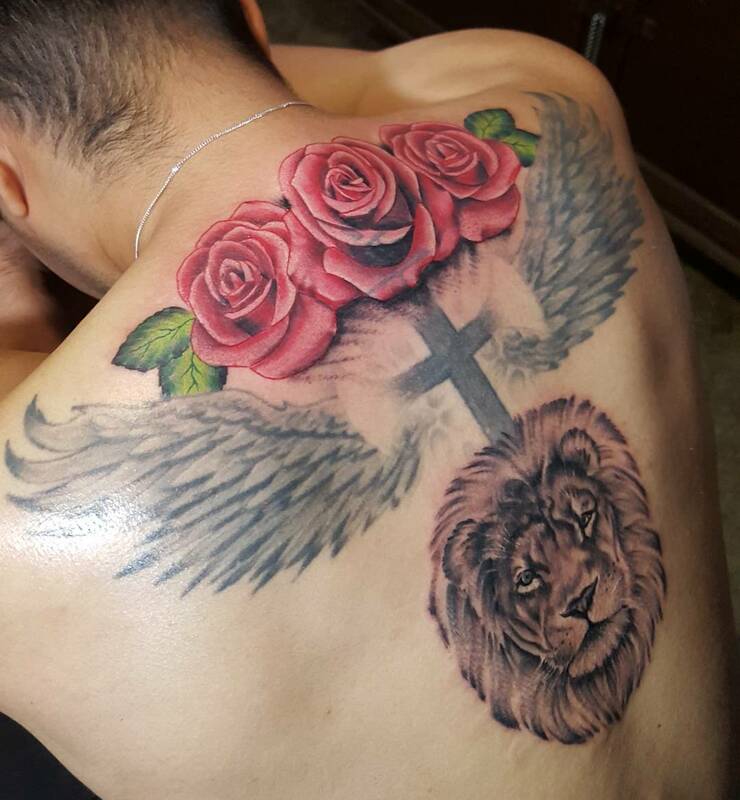 This depicts power and protection. 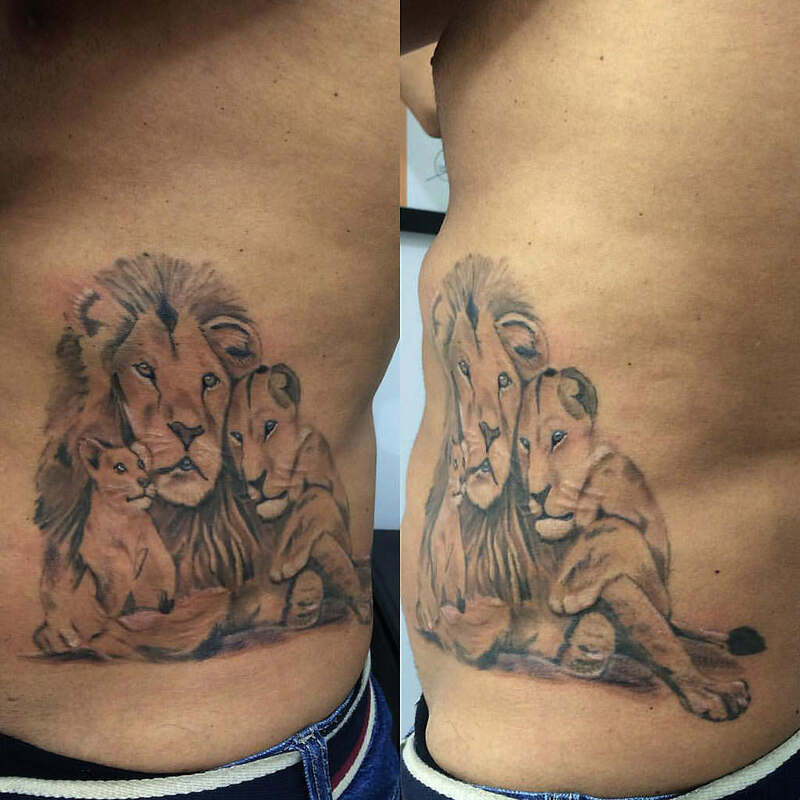 This tattoo is for the one who believes in the love and strength of family. 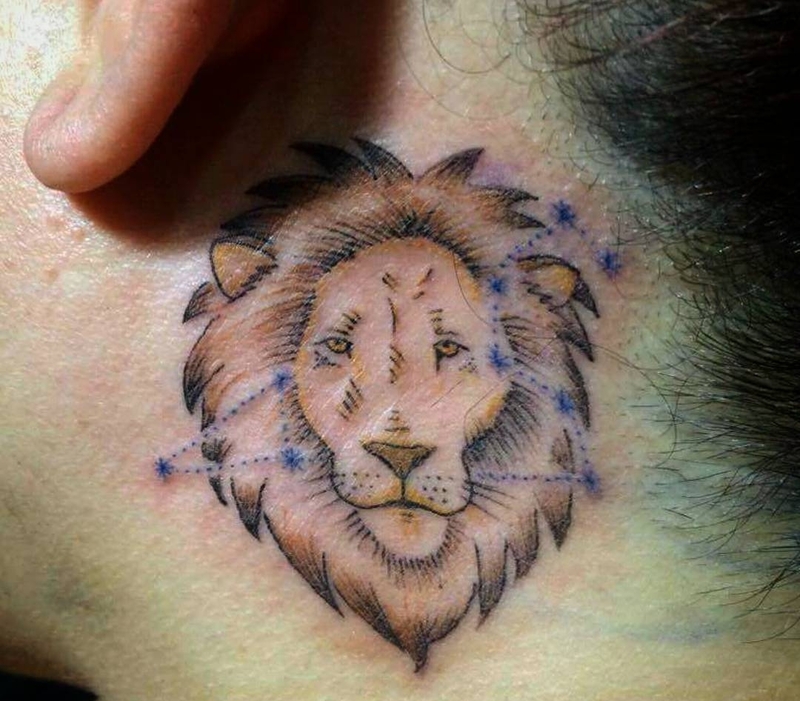 If you believe in zodiac signs, then the people born under the Leo sign can wear it without giving a thought. 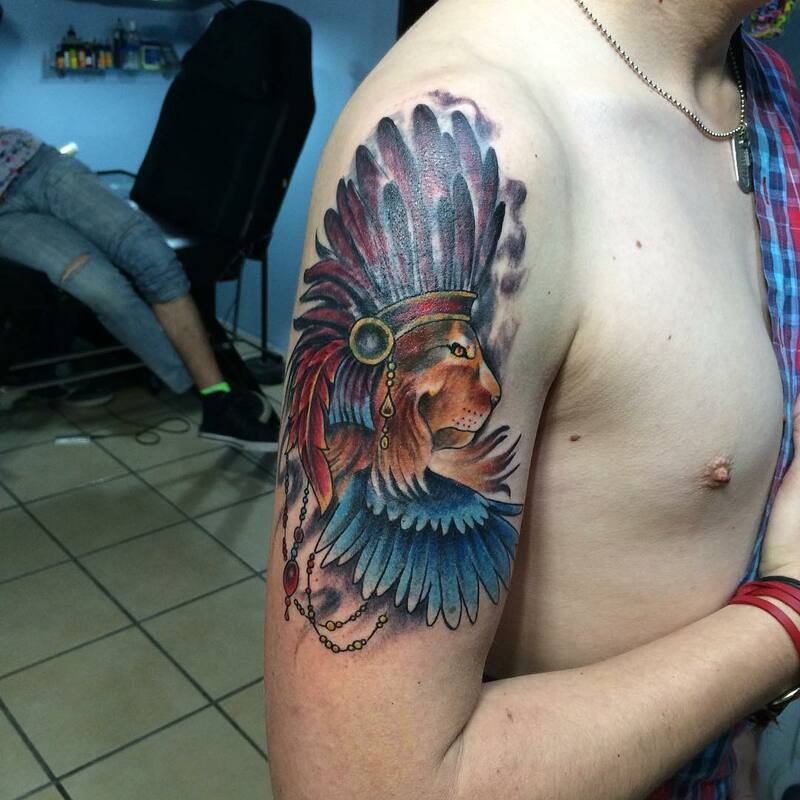 People associate this tattoo design with their own traditional beliefs. 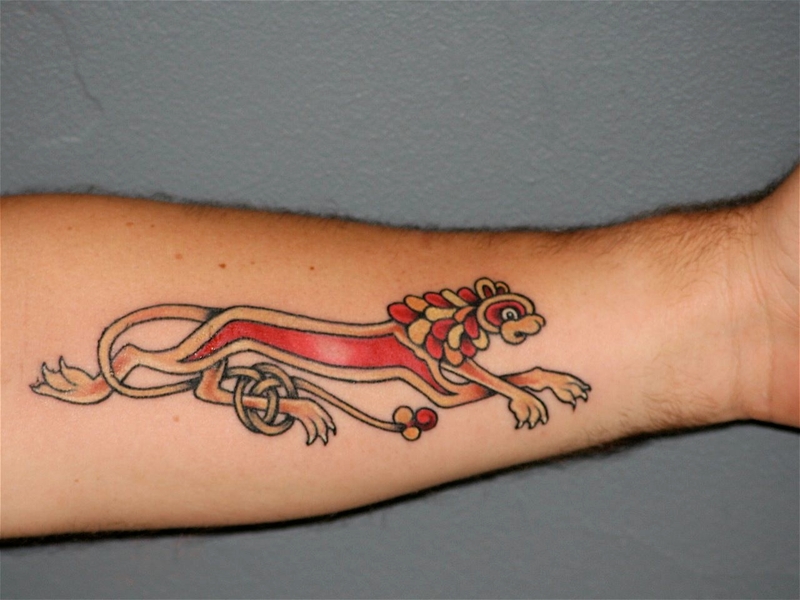 These do not replicate the exact image of lion, but they symbolize honor and justice. 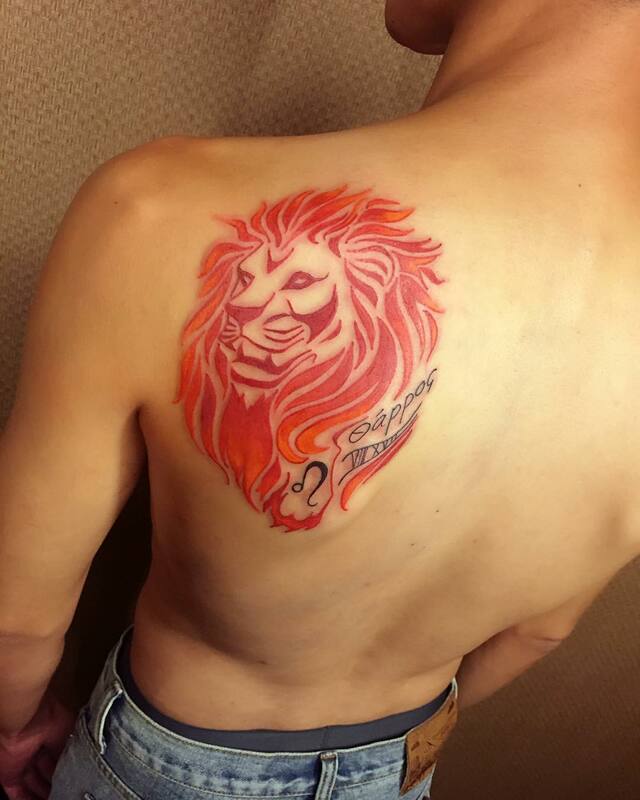 This tattoo design is a fusion of two unrelated things creating a different meaning. 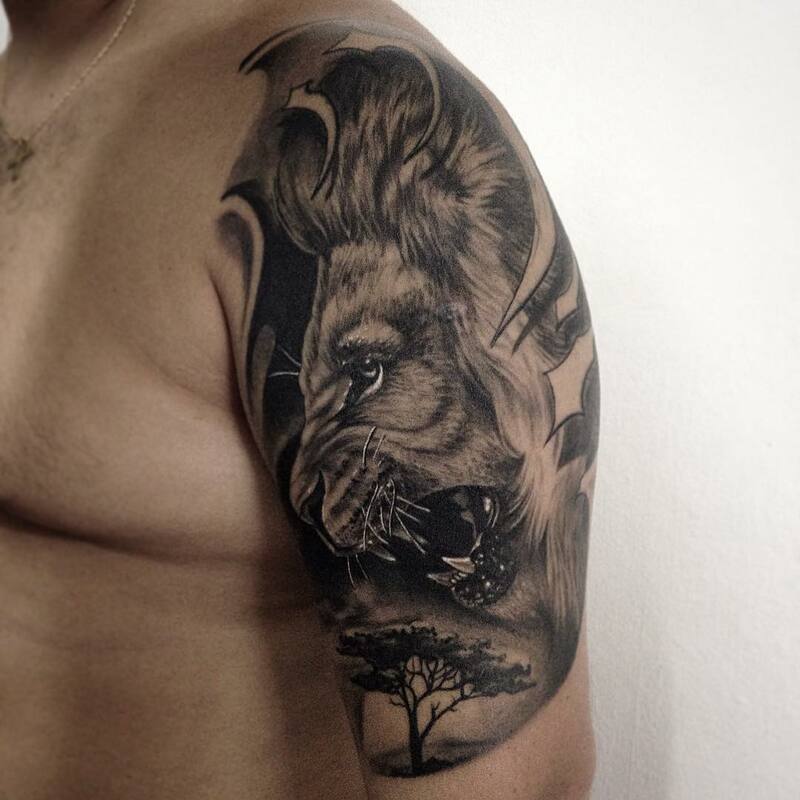 This symbolizes the desire to have a balance nature in life.